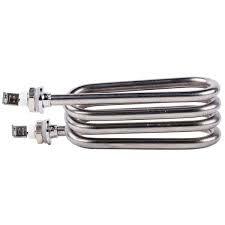 Chhaperia has claimed into the list of top snack makers heater elements suppliers, and its uncompromised resolution in designing the standard heater elements made it a leading firm in the industry. The snacks are heated in microwave ovens whereas bread toasters are another type of snack maker. Chhaperia has a wide collection of heater elements for snack makers. Serving the other industries by delivering valuable products, we stand as a game-changer so far. From baby food warmers to easy bake ovens to mica heaters for toasters, we manufacture to satisfy the needs of multiple industries as well as the individuals. With innovative solutions, Chhaperia is on the way in expanding its potential. The reliable heater elements come with power saving mode options. We meet industrial, commercial, technical, and domestic needs with our top-notch quality-driven units. With the changing needs of the client. Chhaperia able to meet the needs perfectly thereby racing into the list of top snack makers heater elements suppliers.